ROM EL-2364 FLASH EPROM Chips (replacement for 2364 ROM) 3 days, 20h:31m:24s £12.50 Buy now! ETLl2128N (4481149) 2K RAM Chips 17 days, 16h:06m:05s £2.00 Buy now! ZILOG Z80A Dart 4MHz Dual Asynchronous Receiver/Transmitter	 2 days, 09h:52m:07s	 £4.00 Buy now! AM27C010 128K EPROM	 2 days, 15h:35m:53s	 £0.45 Buy now! 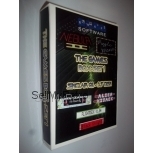 ROM EL-2364 FLASH EPROM Chips (replacement for 2364 ROM)	 3 days, 20h:31m:24s	 £12.50 Buy now! Ediswan Bakelite Two Pin Plug from 1934	 3 days, 21h:19m:52s	 £2.00 Bid Now! ETLl2128N (4481149) 2K RAM Chips	 17 days, 16h:06m:05s	 £2.00 Buy now! 25 Pin D male Gender Changer	 23 days, 06h:14m:15s	 £2.75 Buy now! 9 Pin D - 25 Pin D Convertor	 23 days, 06h:16m:17s	 £2.50 Buy now! AM27C010-205 128K EPROM	 28 days, 18h:15m:54s	 £1.10 Buy now! Motorola MC1489P RS-232 Quad Line Receiver	 28 days, 18h:17m:57s	 £1.50 Buy now!